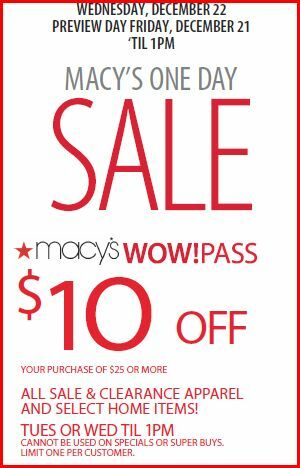 Macy’s big One day sale will be December 21st until 1pm and on the 22nd! Take this coupon with you to save$10 off your $25 purchase! https://i2.wp.com/savvywifehappylife.com/wp-content/uploads/2010/12/macys.jpg?fit=300%2C468&ssl=1 468 300 Brandi https://savvywifehappylife.com/wp-content/uploads/2016/09/SavvyWifeHappyLife-logo-2.png Brandi2010-12-16 12:09:572010-12-16 14:24:08Macy's One Day Sale! Yankee Candle Coupon: Buy 2 Get 2 Free! Cool Whip for $0.14 at Target!